They say it's your birthday, well it's my birthday too, yeah. They say it's your birthday, we're gonna have a good time! Yes my little langoliers, it's my birthday. Now Joan says I'm 61. I just say I'm more mature and experiencd than I used to be! 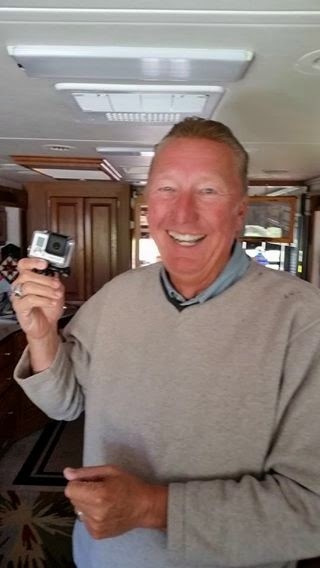 I kept wondering why Joan was constantly running over to the campground office every day for the last few days, when finally while Dave & Lydia were here she gave up the ghost and stated she had made an executive decision.....she was giving me my birthday present early. So I opened the newly delivered parcels and what to my wondering eyes should appear.....it was a GoPro camera! Alright. What an unexpected surprise. 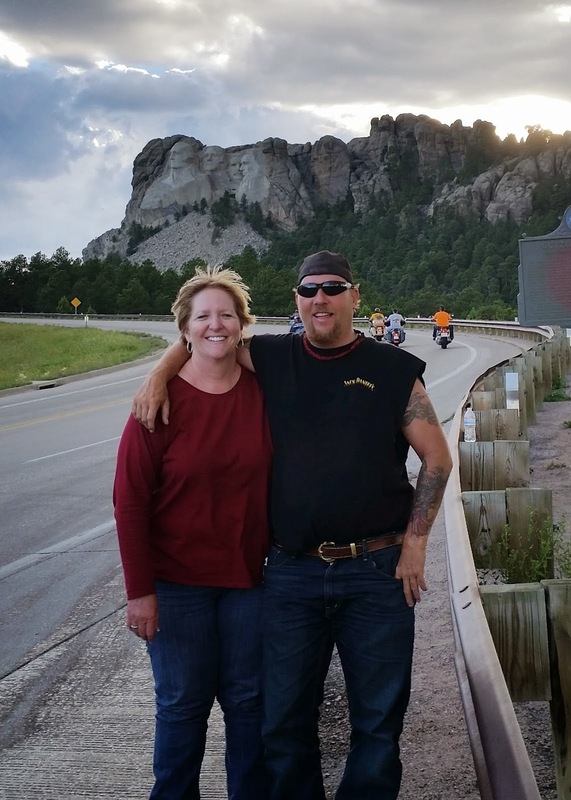 Our friends Dave & Lydia arrived the Thursday after Sturgis ready to ride with Dave's 1996 Harley. It only has 95,000 miles so Dave figured it needed to be ridden just a little. Dave & Lydia started riding Friday morning and I joined them just after lunch. Friday we went looking for bison and it didn't take long. We drove up on a small herd of about 200 just outside of Wind Cave as they were crossing Hwy 87. Let's just say Lydia was very excited when several of the bison decided to walk along the edge of the road just 10' from where we had stopped. We drove on through Custer State Park and turned onto Iron Mountain Road. Iron Mountain Road is made for motorcycles with 314 curves, 14 switchbacks, 3 tunnels and 3 pigtails all within a 17 mile stretch of road. About 3 miles in we came to a stop behind a couple of dozen cars and close to 1000 bison. It was a 2-fer day! There were bison on the left and bison on the right....bison in front of us and bison crossing the road from both sides. We spent about 15 minutes waiting for traffic to move, but that never happened. We did see a sightseeing jeep simply pull out and kind of slowly maneuver his way through the meandering herd. After a few more minutes of standing still, I decided to follow the jeep's lead, so I pulled out of my traffic lane and started slowly working my way forward through the herd...making sure I didn't crowd any mama's with small calfs or seem too aggressive approaching any of the bulls that showed an interest in the motorcycles. We 'plowed' our way through the herd passing all of the cars that were blocked and soon had the entire road to ourselves. A few miles further down the road we stopped at a scenic overlook, only to be approached by a woman who started thanking us for saving her. She stated she had been 'trapped' by the bison herd for quite some time and was afraid to move her car with so many bison roaming back and forth. Once we passed her, she simply pulled in behind us and followed us to safety. Ah shucks ma'am, it weren't nothin'. Over the remainder of the weekend, we visited Mt. 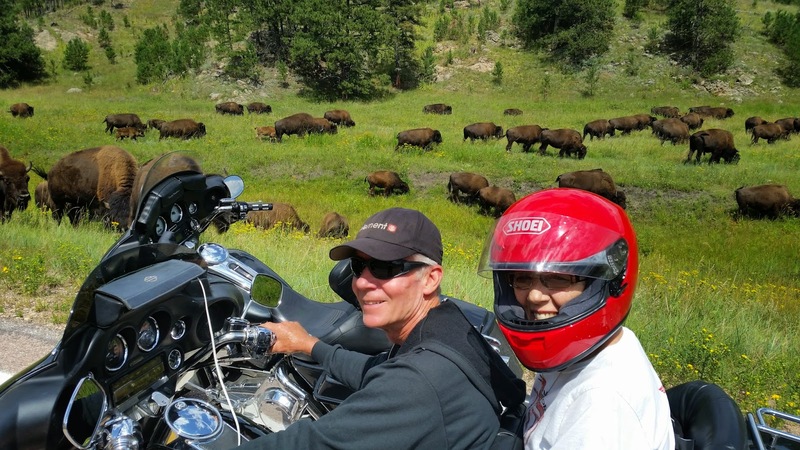 Rushmore, Sturgis, Needles, Vanocker Canyon, Devils Tower and Spearfish Canyon. We had a great time. 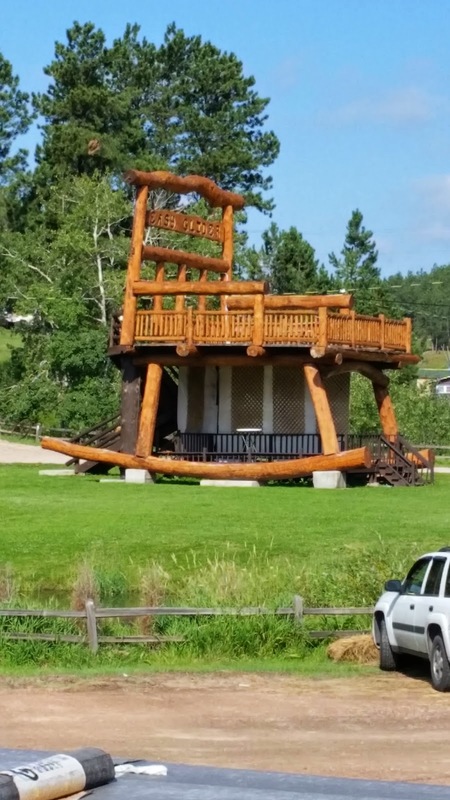 When we stopped in Sturgis we noticed quite a difference between the 'during' and 'after' event city. Dave was telling me that he was starting to experience small problems with his bike....he had to wire up one of the exhaust pipes as he had discovered a small hole that had rusted out and he was afraid it might get worse while we were riding. Well the pipe never fell off, but the hole nearly tripled in size. His shocks were 'bottoming' out whenever he road 2-up and his front forks were looking much worse the wear from 18 years of riding in all types of weather. The paint on the bike was starting to wear and his speedometer cable broke the first day out. All things considered he was thinking about shopping for a newer bike. He took me up on an offer to ride my streetglide one morning and he couldn't stop smiling when we eventually stopped for breakfast. It's my opinion that a new bike is in Dave's near future. I'm glad I didn't tease him too much about his maintenance concerns because as we were riding one day I noticed my shifter pegs gently rocking back and forth.....for those of you that don't know, that is not a good thing as the shifter pegs should be firmly attached in order to shift gears. We pulled to the side to check things out and it turned out not to be too bad after all. Just a loose nut and we were back on the road in about 10 minutes. When the weekend was over we had ridden a total of over 700 miles. What a great time. For any of you FOSJ riders. Keep us in mind next time your planning your vacations! 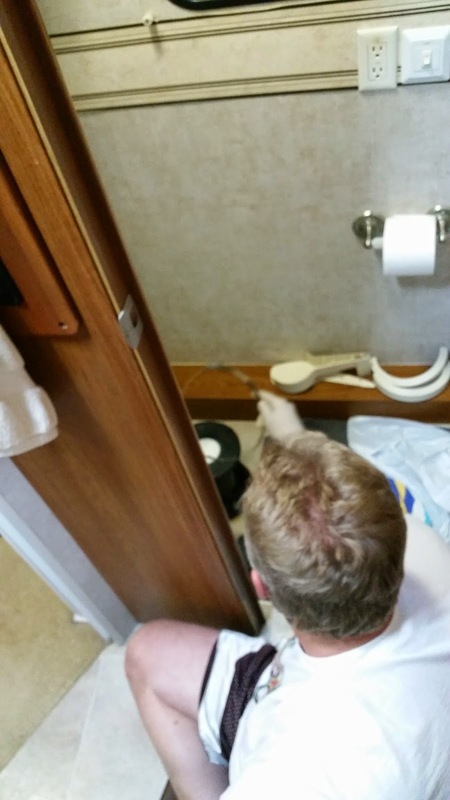 And as most all full time RVers know, there are almost always some sort of maintenance issues that need to be taken care of around the RV. On Thursday we had the lower doors of the refrigerator replaced under our warranty contract. They had begun to sag and the doors were rubbing against each other when opening/closing. Also we had been noticing that the foot pedal on the toilet was sticking, so I decided to check it out Saturday morning. I tried checking a couple of items, but to no avail. I ended up having to remove not only the toilet bowl, but the pedestal as well. And as I was disassembling the various parts of the pedestal I figured out what was wrong.....a broken spring attached to the foot pedal. Let's see.....it's 11am on Saturday....what are the odds I can find an RV shop with the part I need that will be open today...oh well, to the phones! First call, Dakota RV in Rapid City...."Well we don't sell the springs but we do have a kit that includes the spring. And we're open till 4pm today"....yipee! Off we go about 45 miles to Rapid, pick up the part, lunch at Outback, then on to Walmart for groceries before returning home. Reassembling the pedestal turned out to be a little trickier that taking it apart, but finally managed to get everything back together just before dark. A happy ending to a crappy job. This pic is for Tom Davis. Wish you could have been here. Shout out to my oldest son Doug......birthday upcoming September 1. Happy Birthday son. 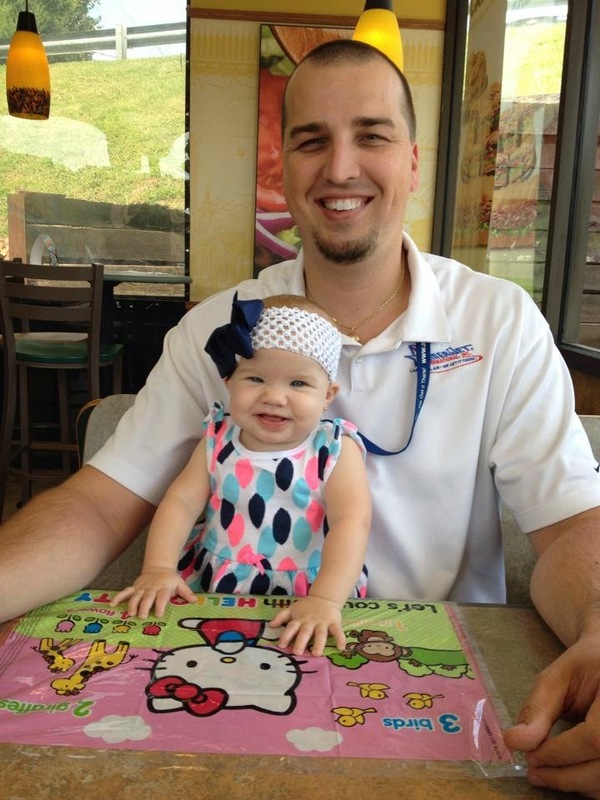 Looking forward to seeing you and your family soon! Yes my little langoliers, I'm back from the nasty little sinus infection I contracted a few weeks ago. Feeling better every day! For all of you back in central Florida...do you remember the connection to langoliers? And for all of you that were around in the mid-70's.....does the title of this blog ring a bell? Maybe you still remember Vinnie, Epstein and Horshack? 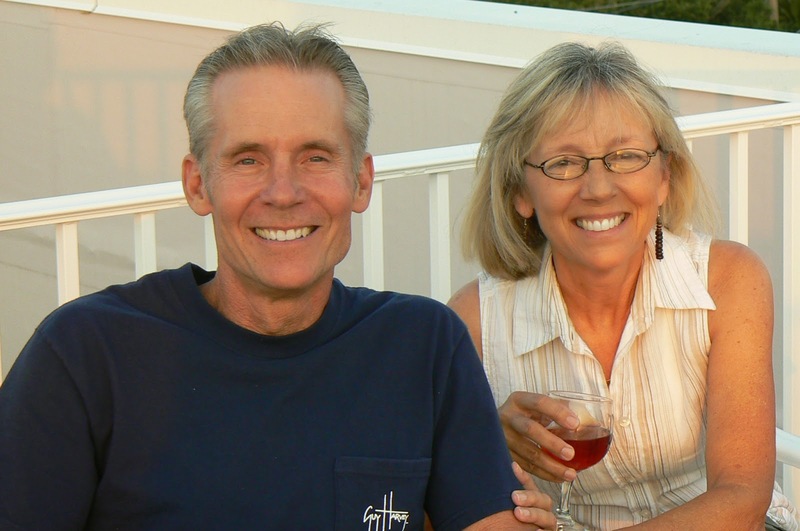 Joan and I have completed well over half of our assignment here in South Dakota and have just over 6 weeks left until it will be time to head south towards Lake Mead. 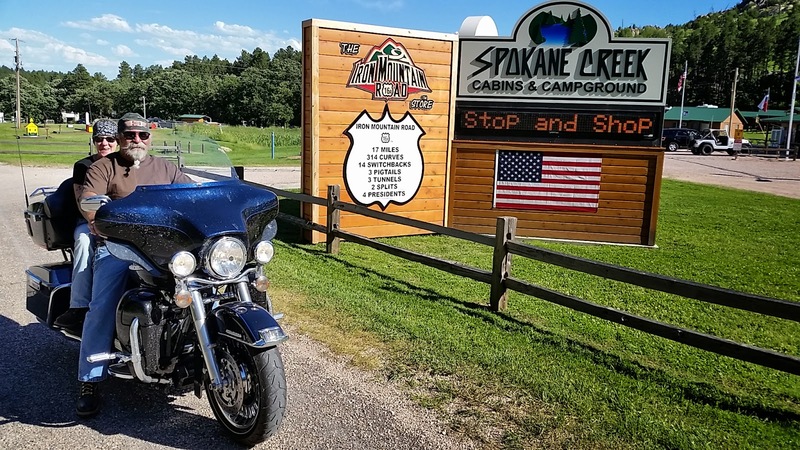 We have really enjoyed our stint here at Crazy Horse and would recommend it to anyone who has not had the opportunity to visit the Black Hills of western South Dakota. 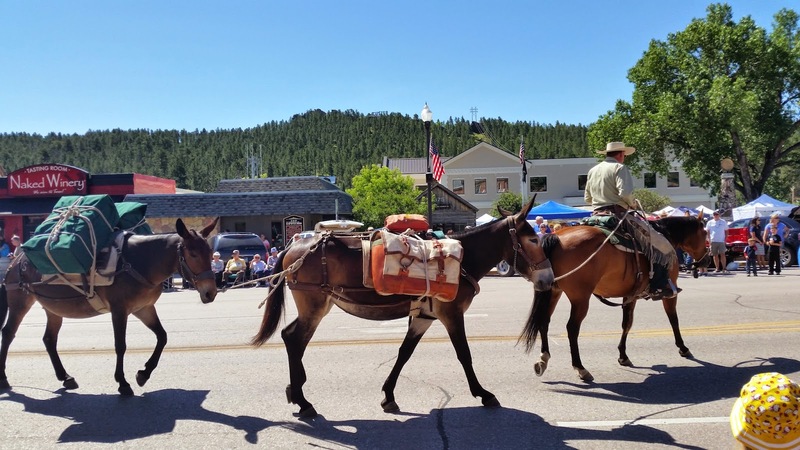 A few weeks ago the city of Custer celebrated Gold Discovery Days. Arts, crafts, car show and a parade which Joan and I decided to check out. 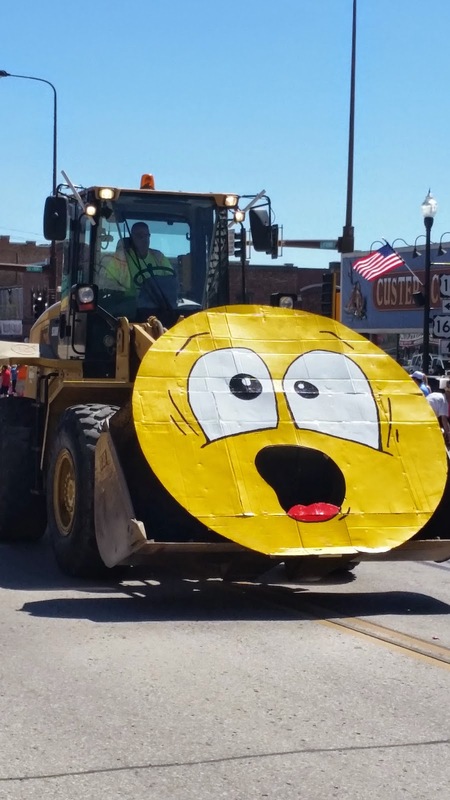 I guess you just never know what you might see at a parade like this. Over the last few weeks we've been on the bikes quite a bit. 2 weeks ago Joan's cousin from Ohio Kevin and 2 of his friends, Mike & Julie called to let us know they would be passing through town on their way to Wyoming. 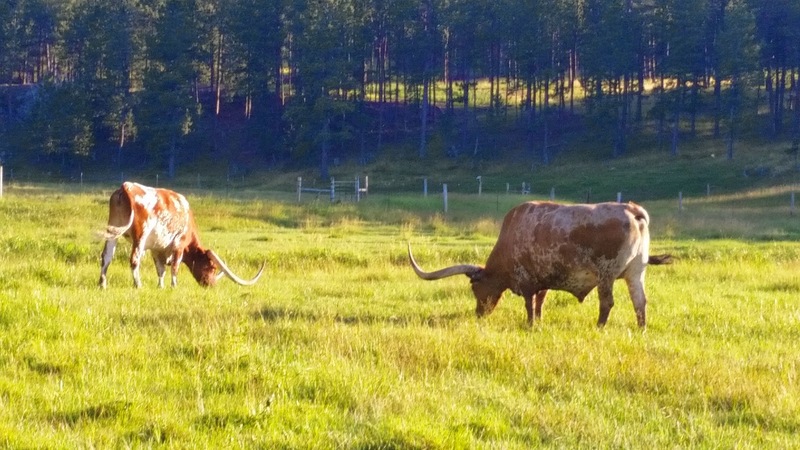 After 3 days of riding through the Great Plains, once they drove the 50 miles through the Black Hills to stop and see us, they decided to stay.....which they did for 3 days! We had a blast. We led them on a winding ride that included Wind Cave, Custer State Park, Iron Mountain Road, Keystone and Hill City. The next day Phil & Rudy took them riding to Pactola Lake and a few other locals including a pre-rally ride to Sturgis. I think we wore them out as poor ol' Kevin had to check in at the clinic for a quick pick-me-up before they could head out the next day. Don't worry Kevin.....it just a sign that your getting to where you're more mature and experienced than some of the others around you. 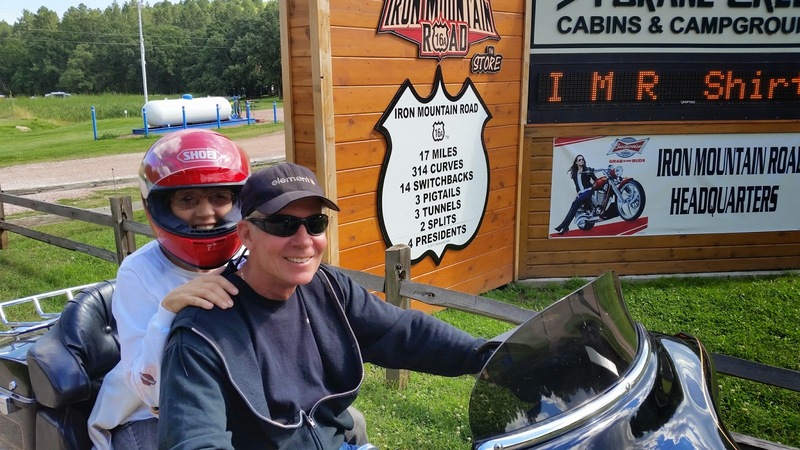 Last week was the official week of the Sturgis Black Hills Rally and Joan and I knew we had to make the passage at least once while we were here. Our days off were Monday and Saturday......hhmmmmmm...let's see.....should we go early in the week before it gets too crazy? Or should we wait and join in the insanity that ensues on the weekend? Decisions, decisions. We chose Monday. 57 miles between our campsite and the location of 1 of the most well known motorcycle rallies in the world. And there was never a break in the oncoming traffic. 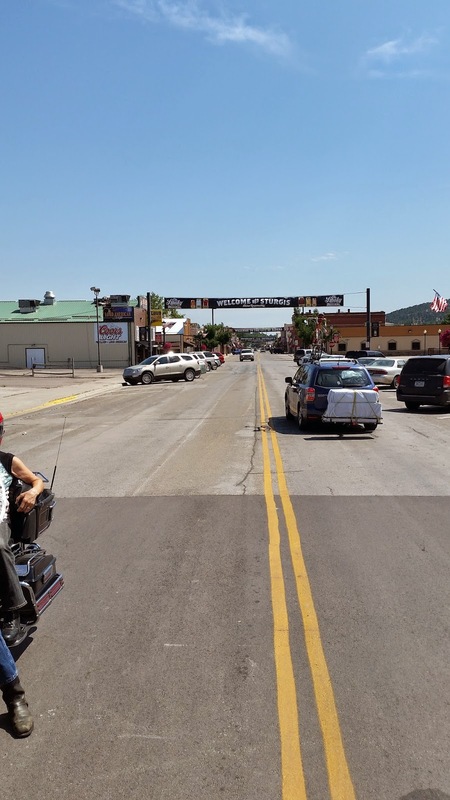 I would have never guessed that the roads that far out of Sturgis would be so busy with motorcycle traffic. 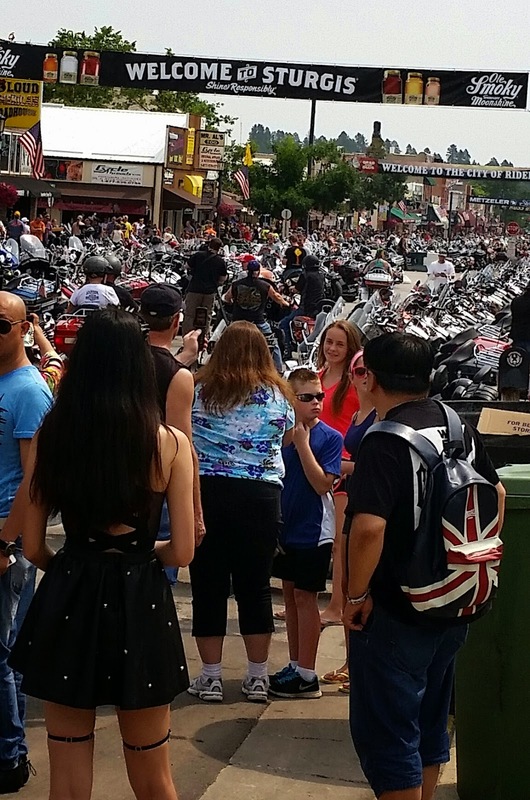 2014 is the 74th Sturgis Rally and estimates for attendance included over 400,000 bikes. Next year, 2015 will be the 75th and sources are estimating that anniversary will bring out more than 1 million motorcycles. Let's just say that Joan and I are in agreement that we plan to be far away from that crowd. 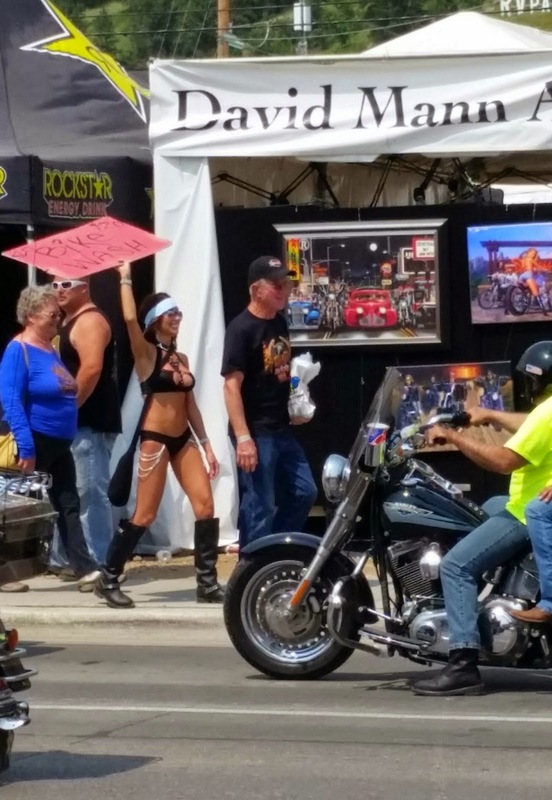 Sturgis was a lot like the Bike Weeks and Biketoberfests that we have seen in Florida with the vendors and the crowds. But the riding in and around the Black Hills is what makes it so special. Nothing like Florida at all. Remember the title of this blog? Welcome Back, Welcome Back, Welcome Back. That's what the state of South Dakota says every year to the motorcyclists that visit. 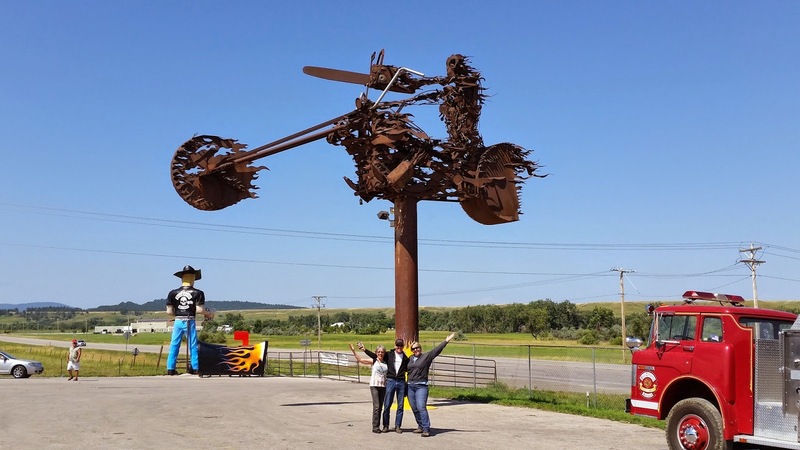 The local Chamber of Commerce has published information that the Sturgis rally pumps over $800 million in revenue into South Dakota every year. Huge, just huge. Our friends Dave and Lydia are leaving Florida with their Harley in the back of the truck this week headed to visit us! We expect them this Friday and are looking forward to showing them around. I'm already planning the routes we'll ride and some of the non-bike related activities we'd like to share with them. Hurry up you guys!